Explore wine pairing in this sponsored post with Millesima. It’s not secret that I love a glass of wine and throughout my travels have loved experiencing tastings across Europe and Australia. When I’m not traveling, I find wine and food are amazing catalysts for bringing those traveling memories flooding back. While the lighter white and rosé wines instantly transport me back to sunny days on the Greek islands. The more full bodied reds and ports will always remind me of Western Australia when I took a wine pairing tour over there. And let’s not forget the amazing wine tasting from when I visited Liechtenstein with vineyards overlooked by the castle on the mountainside. So, when I was given the opportunity to work with fine wine company, Millésima, I couldn’t wait to share this company with you. Based in Bordeaux, the company offers a range of wines from the best properties in the Rhone, Burgundy, Alsace, and other leading French regions, as well as top producers from Italy. With more than 2.5 million bottles of fine wine slowly ageing in the company’s cellars, their comprehensive list includes Crus Classés wines from all Bordeaux vintages of the last 15 years. Boasting more than 150,000 private clients, the company helps their customers to easily source the Chateau and the vintage that they are seeking. Not only do they provide this service online, but they also welcome visitors to the area and to explore wine pairing within their two hundred year old cellars. Working in the region since 1983, the company was founded by Patrick Bernard, whose expertise and reliability has led the company to become Europe’s leading fine wine mail-order merchant. Patrick Bernard’s aim then, as now, was to bring some of the world’s greatest wines direct to wine lovers from the Châteaux. Over the past 15 years, Millésima have made over 300,000 deliveries to more than 65,000 wine enthusiasts of top wines from France, Europe and the rest of the world. Whether you’re a regular visitor to the area, or just love the local wines, Millésima could provide you with the perfect trip down memory lane. And even better, you don’t have to move from your home, so even when you can’t escape for a trip to the south of France, you can still indulge in the finest wines from the region. If you’re a wine-lover like me, there are so many ways to bring the finest grapes into your travels. Most importantly, there is a way to bring wine into your travels no matter what your budget – it doesn’t always have to be expensive. Wine is a fantastic way to connect with the local area, from visiting vineyards and seeing where they make the wine, to tasting the local flavours and wine pairing with amazing local dishes. Wine awakens the senses and perfectly complements the travel experience. This is such an important one, don’t just go to the usual tourist traps when you travel. Instead head off the beaten track, speak to the locals and go to their favourite bars. Avoid the international drinks and instead plump for a local beer or wine. Dining out is a great way to do this, always ask the waiter for a wine pairing recommendation! This is such a lovely day out and can suit all budgets – from the super expensive wine tours to the £5 free tastings! I’ve visited vineyards all over Australia and Europe and loved the experience. Vineyards are always such beautiful locations and often they offer a cheaper tasting where you get to try several wines and can take your time exploring. If you visit a brewery or a vineyard, most offer wine tastings, but even better, if you get a good-sized group together you can often get a free wine tasting or a good discount. I’ve had free wine pairing sessions and tastings all over the world, from food festivals and fine wine shops, to local bars and vineyards. Always do your research and just ask to try! Australia offered a lot of food and wine tasting trails which proved the perfect day out. You would pick up a map and then make your way along, stopping off at various farms, vineyards, factories and all sorts of places with amazing delicacies to try. From wines, beers and ciders, to cheese, cake, fruit and much more. It’s always nice to take a bottle home to remember the place you visited, whether you pick one up as a gift or for yourself. Either pick one up from the local shops, or, if you get home and regret not buying one, why not source one online using Millésima to bring some holiday flavour back home? I tried out ordering a bottle from Millésima and I was so impressed with the service. Not only do they deliver the wine straight to your door, but they’re on hand to answer any questions and offer advice on which bottle is the right one for you. It’s such an easy way to make home feel just like a holiday. Do you like to try new wines when you travel? What have been your best wine experiences when traveling? *This was a sponsored post but as usual all views are my own. 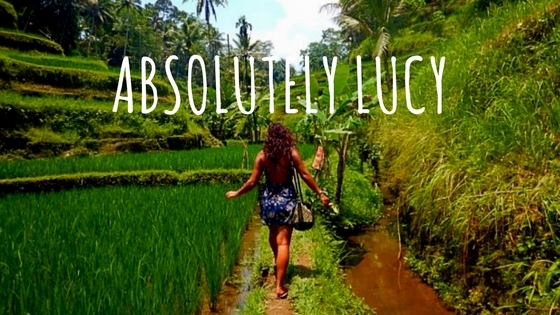 Hi Lucy, i really love to explore other sights aside from the budget friendly travel i’ve been doing. Thinking about vineyard exploration for a change. Thanks for this inspiring post.